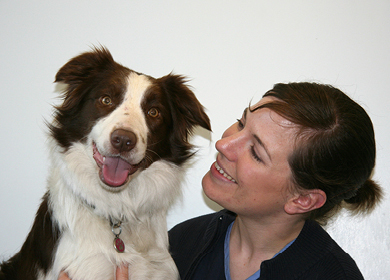 Stacy Brook is the Head Veterinary Nurse in a first opinion veterinary practice. With her ambition to work with animals, she qualified as a veterinary nurse in 1999. Here she tells us all about her role and her plans for the future. What is your current job title and what does your role involve? My current job title is Head Veterinary Nurse. My role involves general nursing responsibilities, plus staff management and training. I am heavily involved in the health and safety within the practice and I formulated a substantial amount of the practice documents to meet the requirements of the Royal College of Veterinary Surgeons (RCVS) and The College of Animal Welfare (CAW) inspections. Why did you choose this career and how did you get into it? At the age of 16 I was almost certain that I wanted a career in veterinary nursing. At that time you couldn’t commence training until the age of 17 so I opted to complete some animal care foundation courses at The College of Animal Welfare, based at Wood Green Animal Shelters at the time. I completed the National Certificate in Animal Care and NVQ Level 2 in Animal Care. During this course we did a lot of practical based work at the animal shelter. From there I gained a permanent training position as a student veterinary nurse at the shelter and, at the age of 17, I began my studies to become a veterinary nurse. What qualification did you complete? In August 1999 I passed my final RCVS Veterinary Nursing examinations. I think the most satisfying part of my job is dealing with difficult/critical cases as a team and succeeding to see the animal go home. Obviously, doing that solely is also rewarding but there is something special about excellent team work. Management itself can be challenging as there is no real way to learn how to be a head nurse without doing it “on the job”. Obviously there are lots of hurdles to overcome but I think the hardest is learning to manage individual personalities. From a career point of view, I am currently happy as a head nurse. Any moves I make within practice would be to another Head Nurse position or managerial role. I am keen to learn more about alternative therapies such as veterinary acupuncture, and also animal massage, physiotherapy and hydrotherapy. I have considered a career redirection to veterinary territory management for drugs companies (rep work). However, this would not currently suit my family lifestyle. What advice do you have for someone looking to join the industry now? If you get the opportunity to complete work experience then make sure to use it well. Be keen, ask questions and help out as much as possible. From a nursing point of view, remember that it is your chosen career and you have to put the time in to learn. General practice is too busy to hand students information on a plate. You need to study hard, complete your course work and be pro-active! Take a look at veterinary nursing courses at The College of Animal Welfare.